Are you a small business owner or entrepreneur? Are you looking to grow your business and influence? Tune in this Thursday from 10am-11am (CST) on Business 1110am KTEK (streaming live at www.business1110KTEK.com) and learn from our guest, Coach Bryan Kiser, how you can grow a better business. 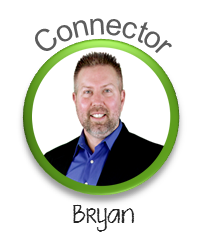 As the “Face” of Growth Coaching Systems Network, a collaborative network of coaches, counselors, mentors, spiritual leaders and done for you service providers, learn how Bryan takes advantage and leverages “Team effectiveness” by “Assessing, Coaching, and Connecting” you to the RIGHT person or people that can help you achieve your desired end result. This entry was posted in Coaching, Entrepreneurs, Leadership, Success Tips, Talk Radio, Team Building and tagged Coaching, Entrepreneurs, Leadership, Purpose, Team Building, Teams, Vision. Bookmark the permalink.